There were more than 2,500 work zone crashes across Virginia last year. Transportation officials held a vigil Monday night in Charlottesville for workers killed on the job. As construction and pothole-filling closures expand across the region with the warmer weather, the workers repaving roads and building new bridges are asking drivers to keep them safe. “It’s one thing to see cones, it’s one thing to see Jersey barriers, but there are humans that are behind them that we want you to watch out for,” Virginia Department of Transportation spokeswoman Ellen Kamilakis said. Virginia transportation officials held a vigil Monday night in Charlottesville for workers killed on the job. 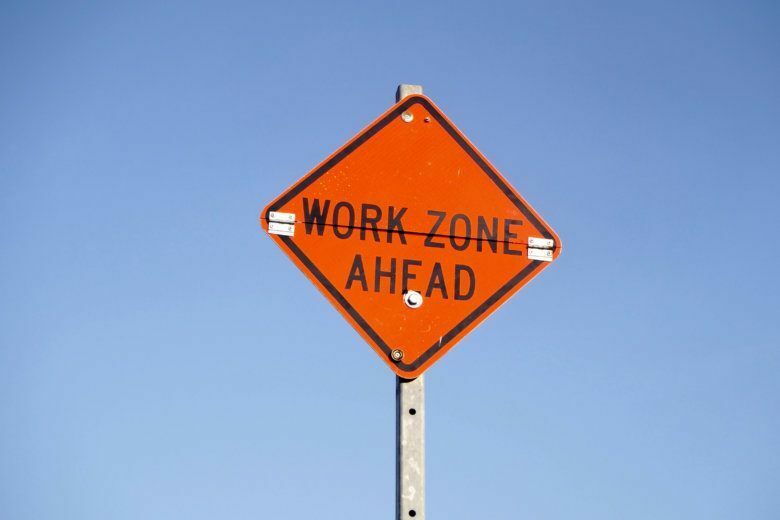 Maryland transportation leaders are marking this work zone safety awareness week at an Interstate 895 construction project in Baltimore Tuesday. Tonight @virginiadot held its annual #vigil honoring those workers killed in work zones. Inclement weather moved the vigil indoors but that didn’t stop law enforcement, transportation professionals, community members, friends and family from gathering to honor and remember those who lost their lives working on #VA highways  • ‘Accept nothing less than zero [deaths on Virginia roads]. That is my commitment and the commitment of everyone who works here.’ – Secretary of Transportation Shannon Valentine. Federal highway and District Department of Transportation officials are set to ask drivers to be safe at the Frederick Douglass Bridge construction site Tuesday. “The majority of the crashes that we’re seeing are for distracted driving, so we implore you to put your phone down. The decisions that you are making are between a text message and somebody’s life sometimes,” Kamilakis said. Virginia is set to ban handheld cellphone use in work zones, even though an attempt at a broader hands-free driving requirement failed. “Distracted driving isn’t just the phone. It is eating. It’s putting on makeup. It’s eating a bowl of cereal. It’s reading the newspaper. We hear the craziest stories, and we see the craziest things,” Kamilakis said. In addition to distracted driving, drowsy and aggressive driving put people at risk, too. “It’s really not just for our safety, it’s also for your safety for you to pay attention,” Kamilakis said. There were more than 2,500 work zone crashes across Virginia last year. More than 1,200 people were injured and nine people were killed. “When you think about 1,200 people that are injured and nine people’s families that are completely destroyed simply because of an error on the part of the driver, that’s not something that we as an agency want,” Kamilakis said.